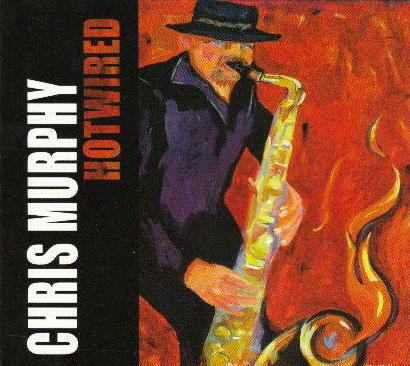 CHRIS MURPHY (Saxophone,Hammond Organ and Vocals) is a musician and entertainer based in London Ontario. From 1992-1998 he was the frontman and leader of the OLD CHICAGO BLUES BAND the house band at the Old Chicago Speakeasy & Grill in London On. The band performed three shows a night, five nights a week for more than five years. During that time the band released two CD's and worked with more than 50 guest vocalists, including twenty from the United States. They were also featured on their own TV Show "SPEAKEASY BLUES" for Rogers Cable TV, creating 10 half hour shows and 9 one hour shows. Since leaving the Old Chicago Speakeasy & Grill, Chris has been touring in the United States and Canada as the Musical Director and Bandleader for American blues artist, CHICAGO PETE . He also has reformed UPTOWN BLOOZE the band he led from 1986-1992 and performs with the Jump, Jive and Swing band the JITTERBUGS. His debut CD, "BLOWIN THE HORN" was produced ,in Toronto, by MICHAEL FONFARA and GARY KENDALL , (both from the Downchild Blues Band) . Chris started playing saxophone with local swing bands when he was 17. His father PHIL MURPHY is also a musician and Chris often worked in his father's band. He spent 6 years with SOUL SAUSAGE and 2 years with THE FOREST CITY JAZZ BAND before forming UPTOWN BLOOZE in 1986. Chris also runs an independent blues label called SPEAKEASY CDs.